A Sampling Bee: The Bubbly Bee Company Bracelet Review & Giveaway! The Bubbly Bee Company Bracelet Review & Giveaway! Welcome to A Sampling Bee! Today, I share with you a cute bee bracelet from The Bubbly Bee Company! As we all know, bees need our help. The Bubbly Bee Company is helping to save bee one bracelet at a time. Their mission is to raise awareness of these magnificent creatures. The Bubbly Bee Company donates 10% of each purchase to Greenpeace. These cute bee bracelets are made with high quality materials and love. The elastic is latex-free and is made with gemstone beads. 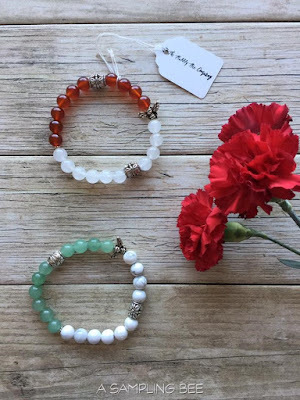 The Bubbly Bee Company makes these bracelets in 10 different colors. All bracelets have a cute bee bead. As you all know, I love bees. My name, Melissa, means honeybee. When I saw these cute bracelets, I had to have one! The Bubbly Bee Company was sweet enough to send me 2 bracelets. One to review and one to giveaway! The materials used are definitely high quality. I wear my bracelet almost every day and it is still as strong as the day I got it. These bracelets are definitely made with love. I love this company and I love their jewelry. 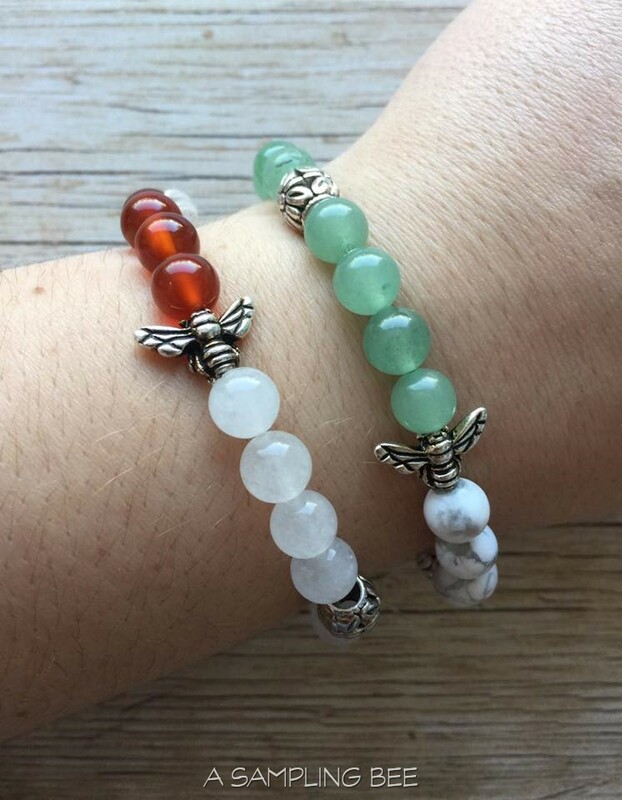 Grab a few bracelets today, have a beautiful, new piece of jewelry and help save the bees! The Bubbly Bee Company's Bee Bracelets are available for purchase on Etsy. They make the best gifts! 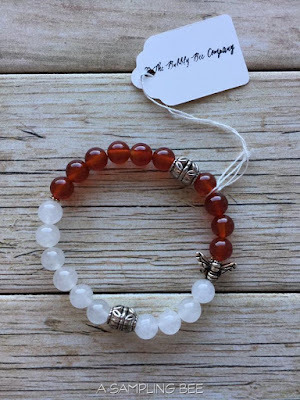 Enter to win your very own Bee Bracelet from The Bubbly Bee Company! One winner will receive A Rowanberry colored bracelet. (pictured above) Winner will be notified via email and will have 48 hours to respond. Good Luck! Contest ends 2/7.